There are two main goals of most home improvement projects: To make your home more livable now, bringing it closer to your ideal dream home; and/or to increase its value for the future. Most of the time, these two things go hand in hand. Spending $30,000 on your dream kitchen will in all likelihood increase your home’s value by $30,000 (or much more). 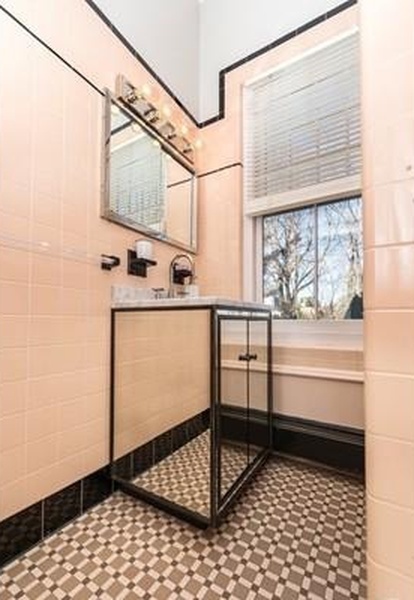 Sometimes people make custom improvements that future home buyers just aren’t that keen on. They’re left wondering why, after putting $200,000 into a house, they’re not recouping even half of that when they go to sell it. 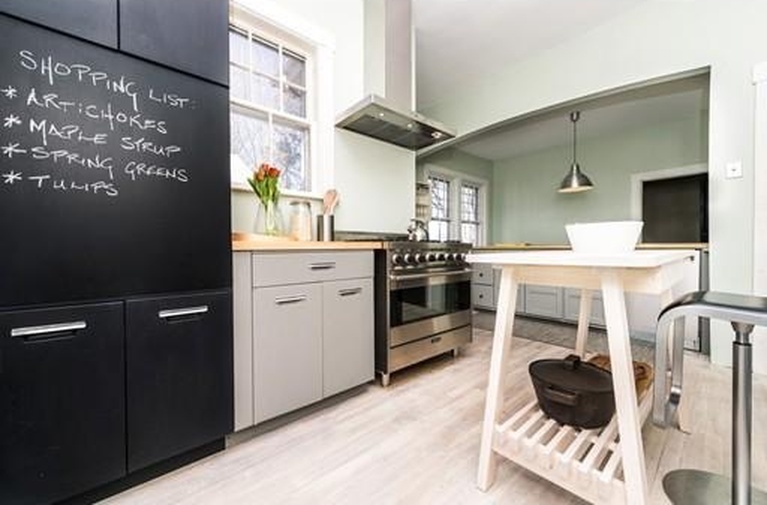 Here’s the thing: Everyone loves a custom kitchen – but only if it’s customized for them. That means unless you play it safe and appeal to the masses, a lot of buyers may not see the value in whatever improvements you’ve made. This applies to everything in life — just because someone spends $2,000 on a laser disc collection doesn’t mean you think it’s worth anything – but the mistakes are amplified because your home is such a huge investment. So if your tastes are unique – or, say, of a different era (hey, I loved the ’90s, I get it) – be careful how much money you invest in very specialized home improvements and design choices. It’s been on the market for 60 days, though, according to Trulia. What gives? Let’s take a tour of the home to find out. …although you do catch a hint of oddness to come. A glass coffee table on industrial wheels, eh? 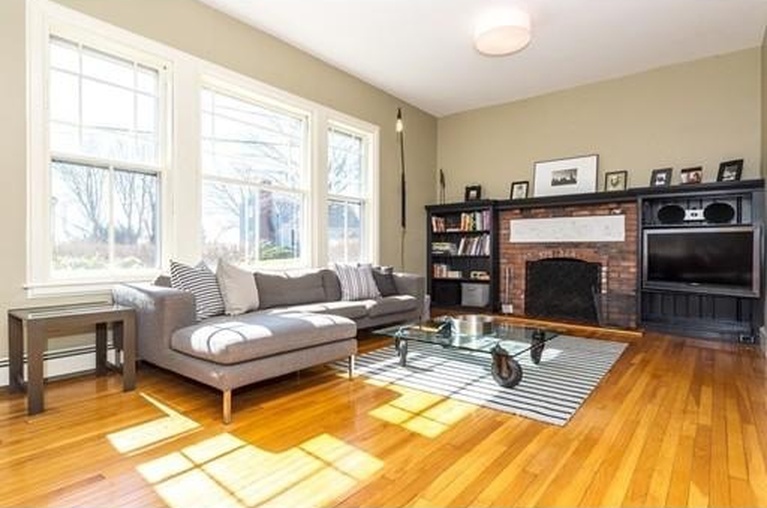 This is one cute house, right? That’s what I thought, too, right around this point. But as the tour goes on, you start to see why maybe this thing has been languishing on the market for more than two months. That’s nuts, right? 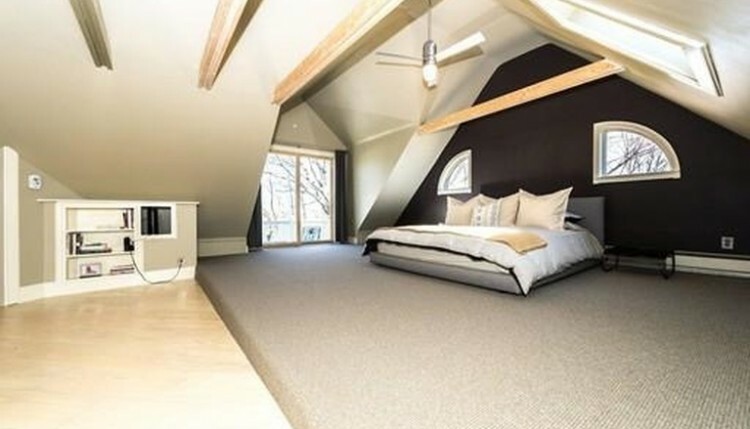 And the attic-turned-master bedroom is daringly designed. I can’t decide whether I like it or don’t. On the one hand, I can’t get behind black walls in almost any setting. Maybe the Bat Cave. 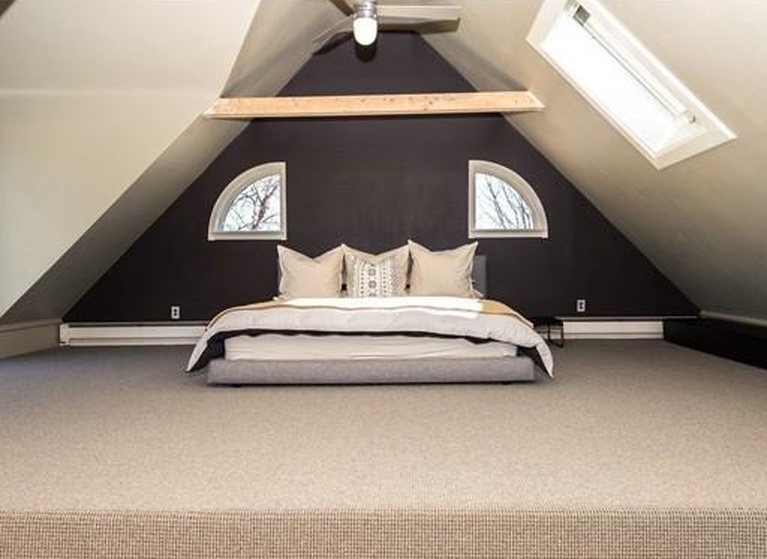 I do love the effect of the exposed rafters, but it’s all too sleek for me. 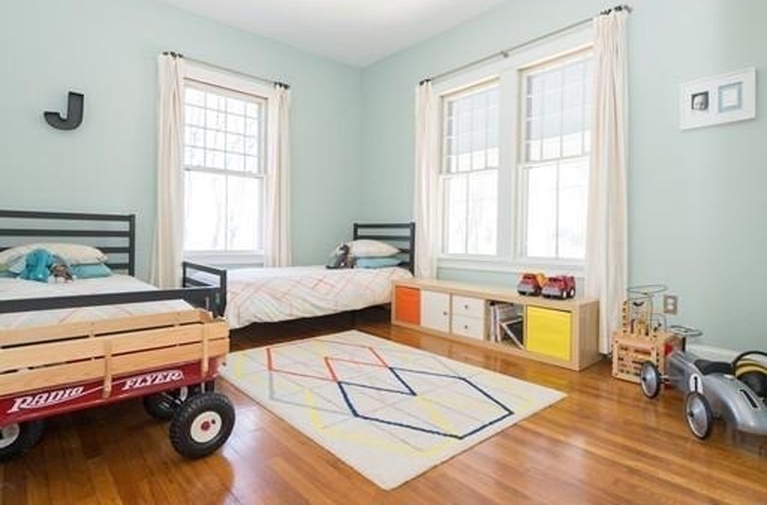 Finally, the listing says there’s even a “secret playroom” in the upstairs, through a weird little window. 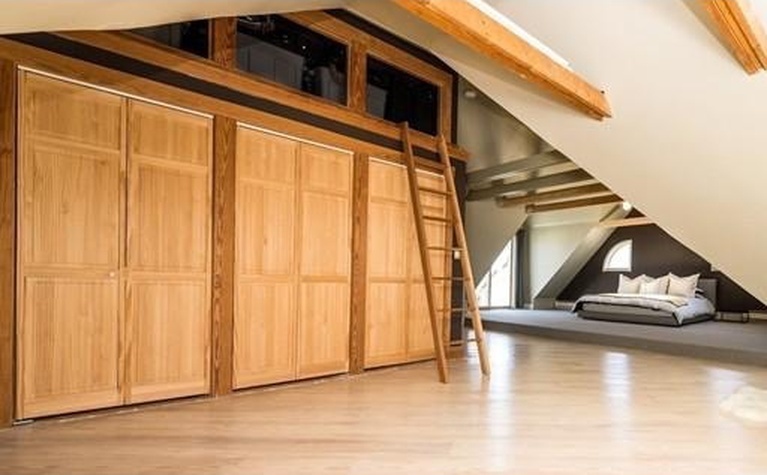 I’m guessing this is just more converted attic space, but that kind of gives me the creeps. Those are some bold choices. While I’m not sure I dislike them, I’m not sure I like them either. And when you’re about to spend half a million dollars on a house, you have to be damn sure you like it. Now, there was an open house today, and I have no doubt they will find a buyer soon enough. It’s a big world, and someone out there is going to like – maybe even love – this particular brand of crazy. 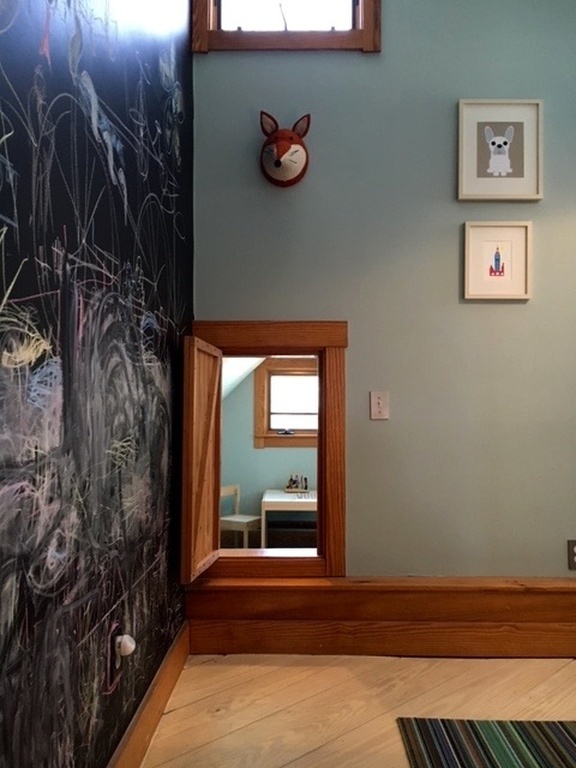 But it’s just going to take a lot more time and effort to find that one buyer than if they’d gone with more traditional choices in their remodeling. I know, that’s boring – you have to take risks once in a while. And if this was the owners’ grand vision – their dream house — and they were able to enjoy it for a number of years, then it was probably all worthwhile. But there’s a reason realtors caution about buying the nicest home on the block: It’s hard to sell an expensive, updated home surrounded by more modest ones. I can’t imagine this place fits in well in a weather-beaten, working-class town like Hull. 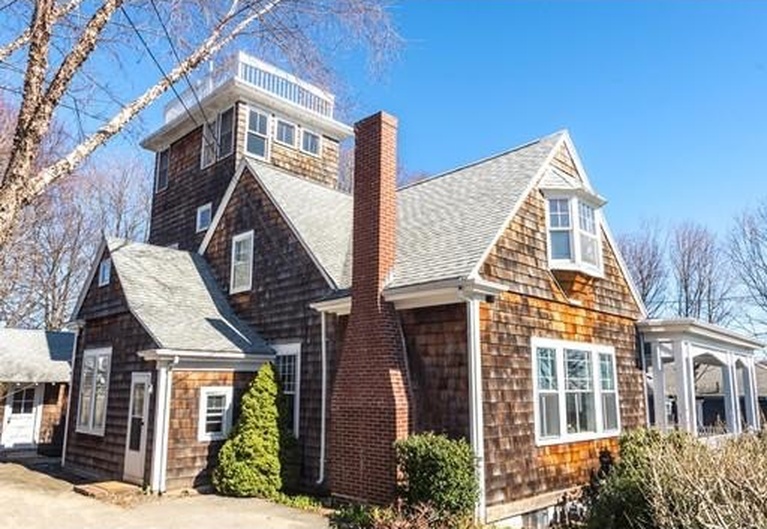 There are some nice homes for sale nearby in the $300K’s and $400K’s; potential buyers for this home are more likely looking at Hingham. Every home improvement project you take on presents some kind of risk. You might uncover a huge, costly mess. You may not like the paint colors or hardware you picked out. Hell, you could hit a water pipe by accident and flood your whole house. The point is, when you make unconventional design choices, you’re adding an additional risk to that equation. That’s not by itself a bad thing. Some risky decisions, whether it’s breaking down a wall or just a bold color choice, completely revitalize an otherwise blah house. But if it’s an expensive project, just make sure you love the idea enough to justify the risk that not everyone else will.